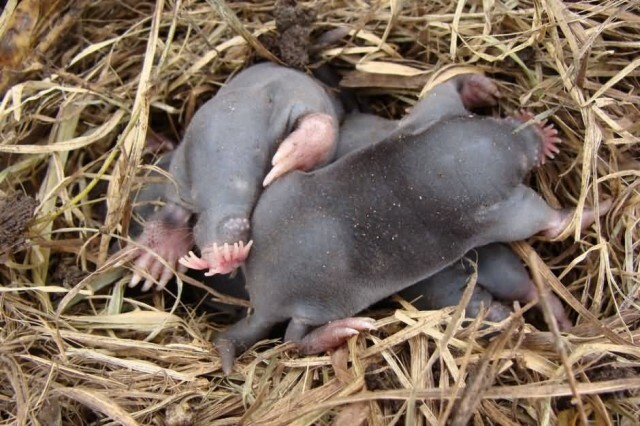 The star-nosed mole is a small mole found in wet low areas of eastern Canada and the northeastern United States. 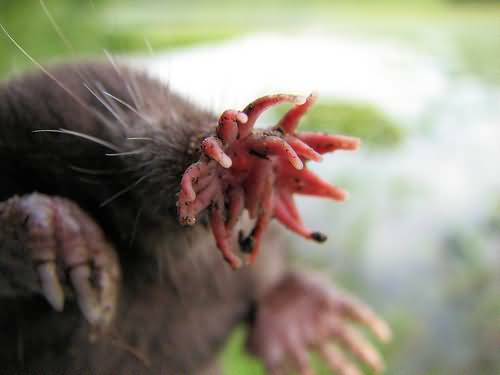 The star-nosed mole is easily identified because of his 22 pink, fleshy tentacles the end of its snout from which it derives its name. 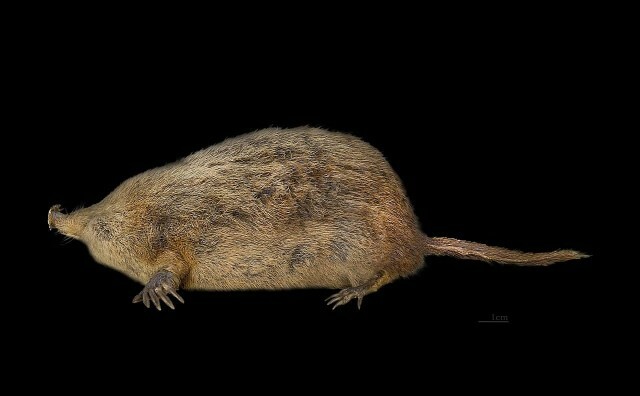 The star-nosed mole is covered in thick, blackish-brown, water-repellent fur and has large scaled feet and a long thick tail. These have a have 44 teeth. Adults are 15 to 20 cm in length. These are used to identify food by touch, such as worms, insects and crustaceans. The extremely sensitive star-like structure is covered with minute touch receptors known as Eimer’s organs. The nose is about 1 cm in diameter with roughly 25,000 Eimer’s organs distributed on 22 appendages.